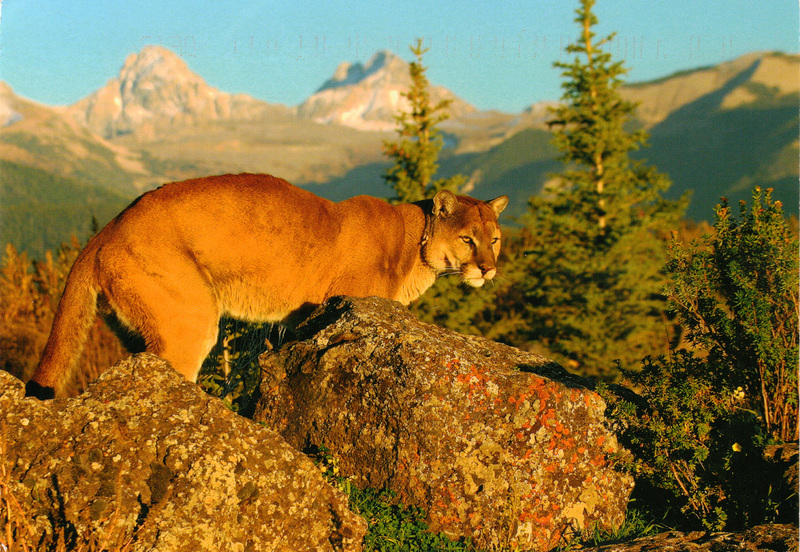 This cougar comes from Julie from Vancouver Island, Canada. Cougars weigh about as much as people, which surprised me, because I thought they would be heavier. This card is also marked with a Forest Stewardship Council “seal of approval.” That’s always nice to see. This card is the first card for my Nouvelles Images collection. It comes from Pieta in the Netherlands. 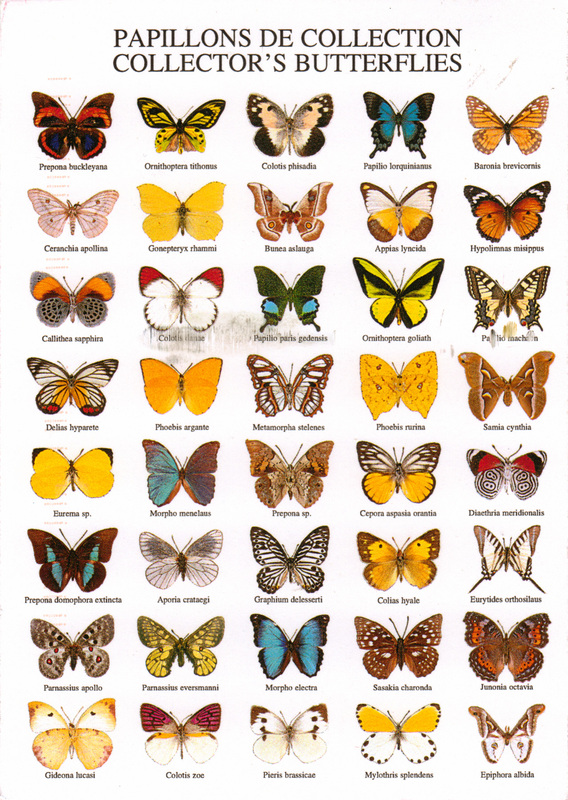 Some may argue that butterflies are not wild animals, but this assortment is surely pretty to look at. 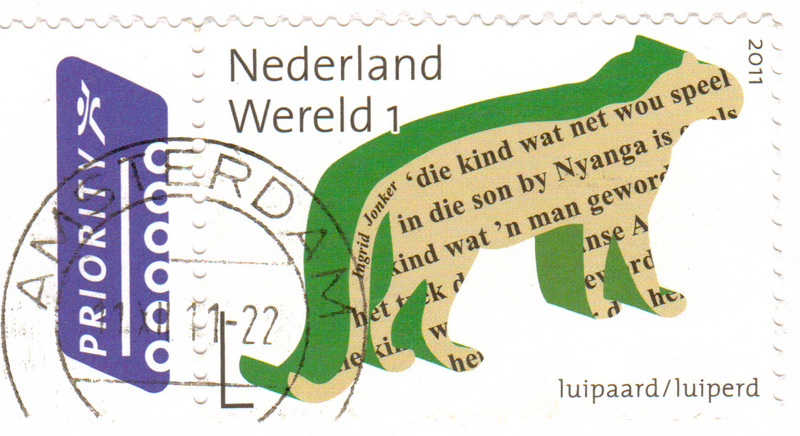 The stamp is a bit wilder; it shows a ‘luipaard’ which I assume is Dutch for leopard. I like this series of stamps that shows animals. 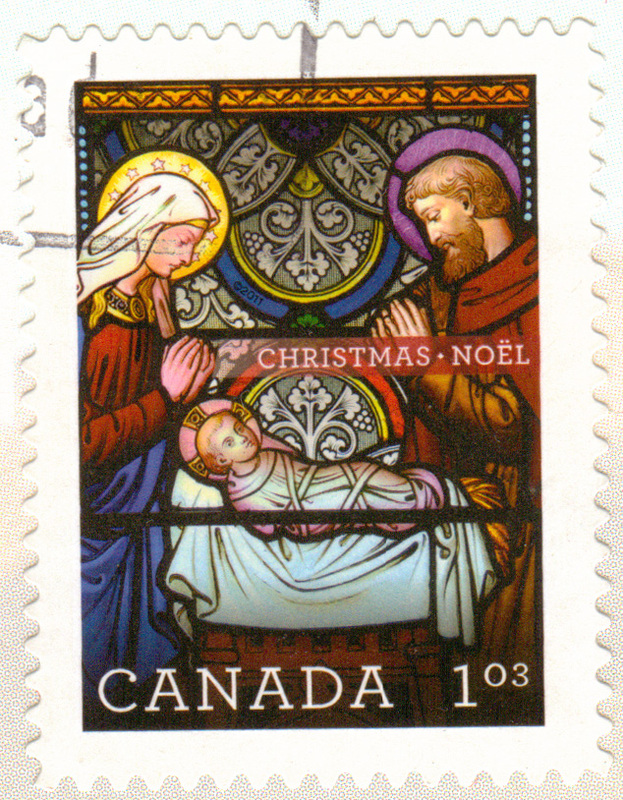 Christmas is essentially over, but this Canadian Christmas stamp on the cougar card will remind me of Christmas for a while. I really like seeing new or interesting animals on postcards. Do you like animal postcards? A cougar from Vancouver! How cool is that? !